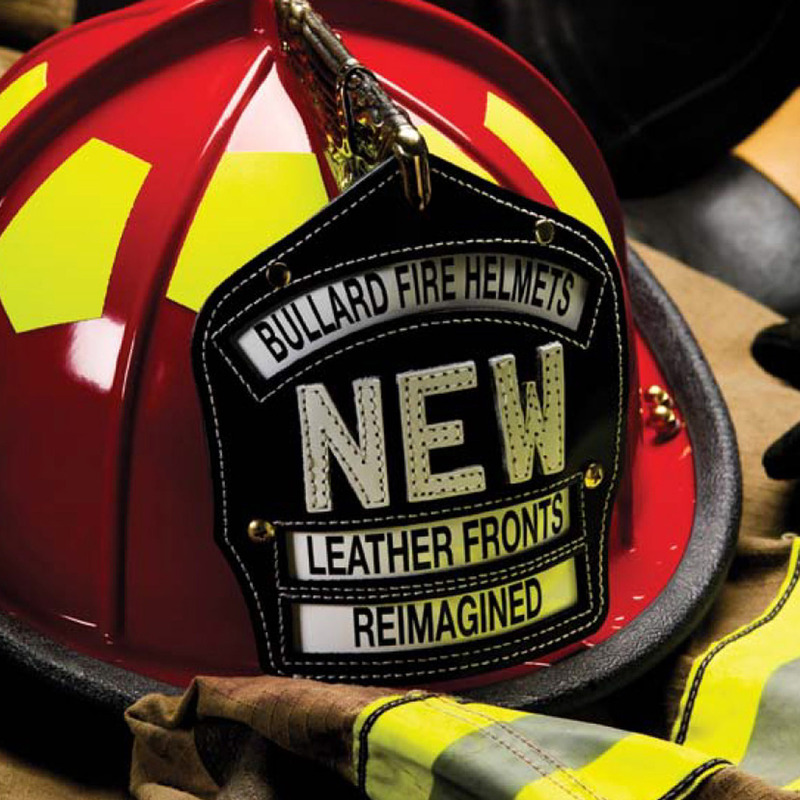 Bullard's custom leather fronts offer a bold, versatile look displaying impeccable workmanship and enhanced quality to fit contemporary and traditional style fire helmets. The image shown is for example only and does not represent all of the possible custom options. Your customized helmet front may not appear as shown.